Find out the benefits of gas and electric cookers, and how to decide which cooker is best for you. Each type has benefits and drawbacks, so which one is right for you depends on how you like to cook and how much you have to spend. On this page, we explain the key pros and cons to help you decide. Once you know what you want, head over to our independent freestanding cooker reviews to find the perfect cooker for your budget and needs. Your choice of gas or electric cooker is likely to be influenced by your previous experience of cookers, what your kitchen is already set up for and your own personal cooking preferences. If you use an electric cooker, you’ll use fewer units of energy but, because electricity costs more than gas per unit, this will still end up costing you more. If you use your cooker for an average of five hours a week, our tests have found that you will pay on average just £17 a year for a gas cooker and around the £40 mark for an electric, electric induction or dual-fuel cooker. Of course, it’s not just about cost. Both gas and electric cookers have their own pros and cons when it comes to cooking and preparing food. You can see the main differences below. Hobs tend to be good at simmering: gas hobs offer instant and easy-to-control heat that tends to spread evenly across the base of a pan, meaning less time stirring your dinner to get it properly cooked. Running costs are lower: gas is cheaper than electricity, so you’re likely to save yourself a little money if you cook with this fuel. Less-even heat distribution in the oven: you usually won’t find fans in gas ovens, which makes it harder for the heat to circulate evenly around the cavity. 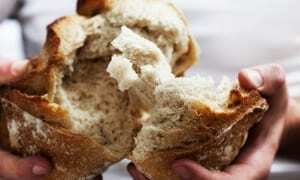 This means that a gas oven will usually be hotter at the top than at the bottom. Some people like this temperature gradation, which you can use to your advantage when cooking different dishes at the same time, but it can make it tricky to get batches evenly baked. Hobs can be slow to heat up large volumes: gas hobs are generally slower than electric hobs – especially electric induction hobs – to heat up large pans of food. So you may find yourself hanging around a bit longer to get your dinner going. 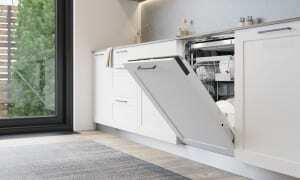 Can be trickier to clean: gas hobs, with their raised burners and pan supports, are more fiddly to clean than flat ceramic or induction hobs, as there are more dirt traps for food to get stuck in. Installation: as with any gas-powered appliance, you will need to enlist the services of a qualified professional accredited by the Gas Safe Register (previously known as ‘Corgi registered’) to install a gas or dual-fuel cooker, which can up the costs too. 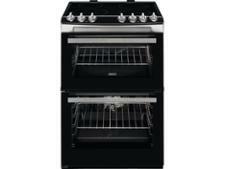 See all our gas cooker reviews. More-even oven temperature: electric ovens tend to offer more-even heat distribution throughout the oven cavity, as most have fans to help move the hot air around. This means it’s easier to achieve consistent results, especially when baking large batches. However, we have found some shockers in our time, so make sure you check our reviews before buying to avoid the poorer models. 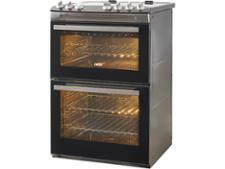 Multifunction oven: some electric cookers have a multifunction oven. 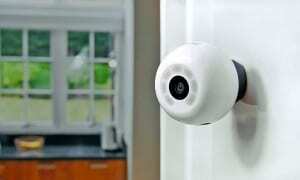 This means that you can cook using different heating functions simultaneously. For example, you can use the grill and fan at the same time, which can work well when a less-fierce heat is useful, such as when grilling a thicker piece of meat. Easy-to-clean hobs: whether it’s electric ceramic or electric induction, the cooking surface of the hob will be flat. This makes it less fiddly to clean than the burners and metal pan supports on a gas cooker. And if your hob has touch controls rather than dials, there’s even less scope for grime to get trapped. 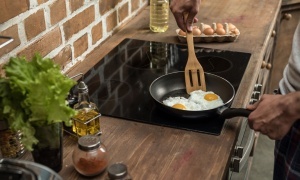 Induction cooking: if you opt for a model with an electric induction hob, you should get speedier cooking times – induction hobs are quick to heat up the contents of a pan and are usually better at simmering at low temperatures too. And, while electric ceramic hobs can’t quite compete, they are still generally quicker to cook than gas hobs overall. Better grilling: over the years, our tests have shown that electric grills tend to do a better job of browning food evenly than gas grills do. Not every electric grill is great, but they generally tend to outperform gas models. Higher running costs: electric cookers cost more to run than gas cookers, so your annual energy bill may be slightly higher than it would be with a gas cooker. Hob stays warm after power is turned off: electric ceramic hobs tend to hold on to heat longer than gas or induction hobs. So if you leave your pan on the hob when you’ve turned the power off, it may keep cooking for a while. They can also be slow to heat up. 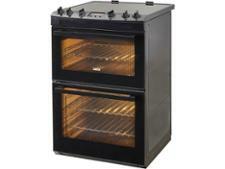 See all our electric cooker reviews. Dual-fuel freestanding cookers are less common, and tend to be a bit more expensive than other options, but some people like the flexibility they offer. You get the instant heat control of gas for the hob but also the convenience of electrical heat in the oven and grill for more-even heating. Some models have impressed in our tests, but we’ve also tested some very poor ones, so make sure to check our freestanding cooker reviews before buying. Once you’ve decided what fuel type you need, it’s worth considering what other features are important to you. Our freestanding cooker buying guide explains what you get at different price points, the different layout options available, how to make sense of cooking capacity and what features to look out for.